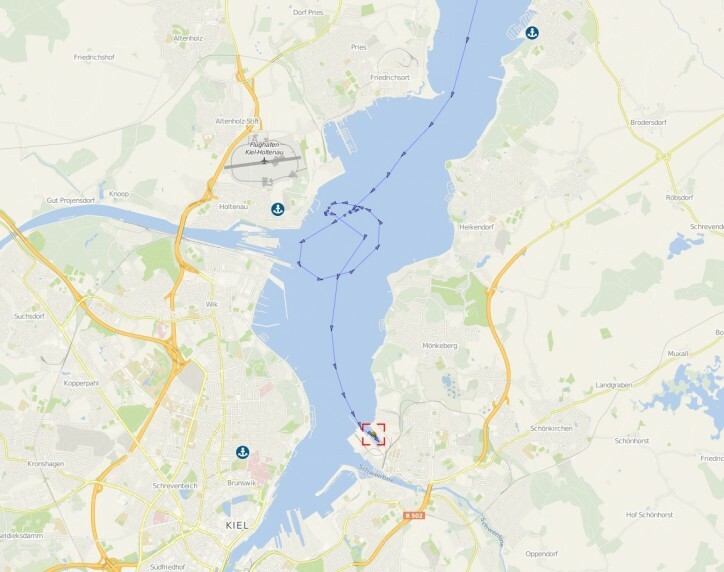 On Friday afternoon, the general cargo vessel Mosvik (ex name Star Vita) took on a list of thirty degrees near the Holtenau entrance to the Kiel Canal. She came close to capsizing, and her crew put out a call for help. Five tugs responded to the scene, along with four rescue boats and police launches. A police helicopter kept watch overhead, according to local outlet Kieler Nachrichten. The Mosvik's crew released a portion of the vessel's deck load of lumber in order to help keep the ship afloat. 60-80 bundles of wood were set adrift, and three response boats focused on rounding them up in order to minimize the risk to other traffic. Most of the wood was recovered by evening, with a few straggling pieces picked up Saturday morning. The authorities warned recreational boaters to keep a lookout for floating hazards. Investigators from the Kiel Water Protection Agency are looking into the cause of the incident. On Monday evening, just a few days after the near-miss incident on the canal, the Mosvikstruck a loading ramp at the Port of Kiel's Ostuferhaven terminal. The freighter's deckload needed to be re-positioned after Friday's accident. As the shore crane was not suitable at the current berth, the ship prepared to shift to another location under her own power. When she approached the new berth, her captain tried to take way off by reversing thrust. Due to a technical problem, she could not go into reverse. The local water police said that she struck a loading dock at a speed of about two knots. 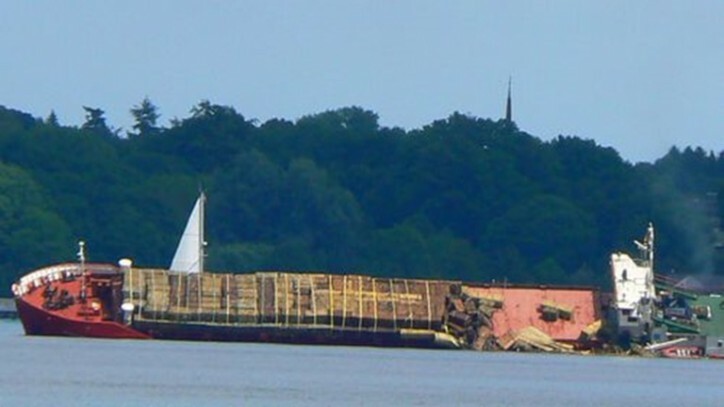 No one was injured, but the amount of damage resulting from the impact has not yet been quantified, and it is not yet clear when she will be able to resume her commercial voyage to Latvia.